The Essential Services Commission, the Victoria regulatory authority, says it has raised the new single rate minimum feed-in tariff by more than 2c/kWh to reflect increases in the futures market for wholesale electricity prices in the state. At the same time, however, the ESC has confirmed that the peak rate in the newly introduced “time-variable” tariffs which it is trying to encourage has been slashed by more than half, to reflect the fall in peak prices. 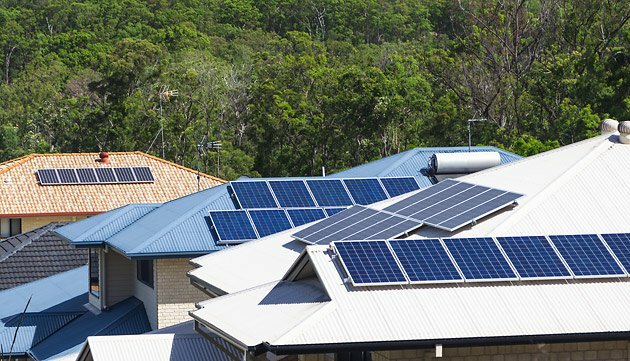 Victoria last year became the first state to offer “time-variable” tariffs in an attempt to properly reflect the value at different times of the day of solar exports from the roughly 270,000 solar households in the state, and also potentially to encourage solar households to install battery storage. But it hasn’t gone down all that well. Most retailers in the market offer only the “single” tariff, and the ESC has now extended indefinitely what was to be a one year grace period to allow retailers to adjust to the new time-based tariffs. The new “single” tariff of 12c/kWh will take effect from July 1, and rises from the current level of 9.9c/kWh and the draft recommendation made in December of 11c/kWh. This is a minimum rate, but retailers are free to offer more as part of their marketing campaigns. The variable tariffs will jump 7.1c/kWh to 9.9c/kWh for those who manage to export solar from 10pm to 7am, although it is difficult to imagine why or how this would occur. The shoulder rate – mostly for 7am to 3pm – jumps to 11.6c/kWh rom 10.3c/kWh, while the peak rate (from 3pm to 9pm) is slashed from 29c/kWh to 14c/kWh. That seems to us like less reason for anyone to go out and buy a battery on the basis of storing the morning’s solar power and exporting excess capacity back into the grid in the afternoon. Under the decision, retailers can also offer solar panel owners a time-varying tariff. These feed-in tariffs vary with the time of day to better reflect the wholesale cost of electricity at the time it is sold into the grid. Yuen says renewable generation owners can shop around for a retailer who offers them the type of tariff that best suits their circumstances, but should check out consumption rates if they see a higher export rate. “You should think about your total energy bill, which includes the rates you are pay for the electricity you are using,” he said. The feed minimum feed in tariff also includes a price that is paid to account for the “avoided social cost of carbon” – in other words the emissions reduction credited to the output of the solar panels, or a defacto carbon price. This is currently at 2.5c/kWh.